Alfred Hitchcock has a lot of incredible films to his credit, but few are as iconic as the 1960 thriller Psycho. The film scored big at the box office — it banked $50 million, which, accounting for inflation, is the equivalent of about $600 million today — and also received a lot of critical acclaim. Hitchcock received an Academy Award nomination for Best Director, and Janet Leigh, pictured above, earned a nomination in the Best Supporting Actress category. The movie is based on a 1959 novel of the same name — and if you didn’t know that, you’re not alone. The book, when originally written, received a positive review by the New York Times but didn’t find much commercial success, and probably should have faded into oblivion. When author Robert Bloch shopped the script to movie studios, though, he found no takers; even Paramount, which ended up distributing the movie, passed. Psycho, the book, seemed destined to go nowhere. But then something unusual happened. Hitchcock, having read the Times review and the novel itself, decided to acquire the rights to the book himself — something directors almost never did at the time. (That’s something studios typically do.) It cost him about $9,500 — about $80k in today’s dollars. And yet, the book still didn’t become popular. That’s because Hitchcock didn’t want it to be. The story, Hitchcock theorized, relied on its surprise ending. (If you don’t know what happens, you really need to see the movie. Don’t worry, I won’t ruin it here.) Hitchcock was already a world-famous director; if the press were to get wind of his acquisition, they’d run out to buy the book and, well, that would ruin the surprise. The simple solution was to acquire the rights under a pseudonym, which is exactly what he did — not even Bloch knew who the buyer was. And when word got out that Hitchcock’s next film was going to be based on a book, he refused to identify which, just to be on the safe side. For Hitchcock, that wasn’t enough. 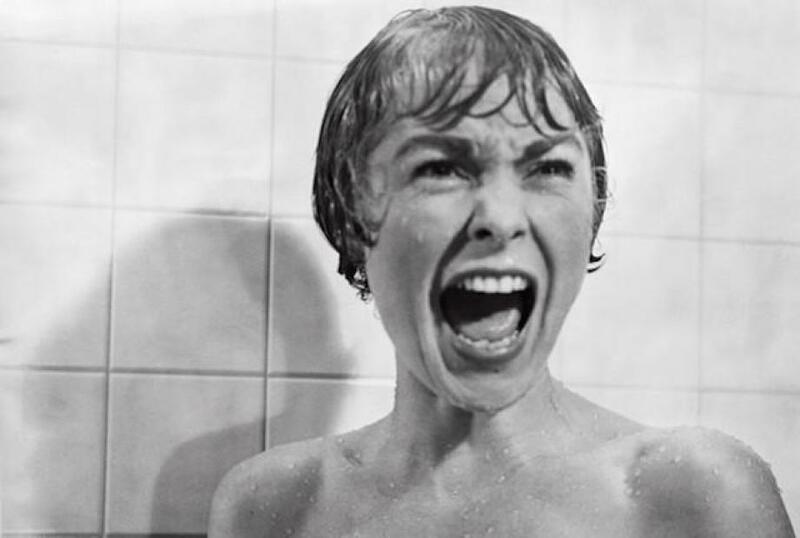 Sooner or later, Hitchcock feared, someone would put two and two together and conclude, correctly, that Hitchcock was making the book Psycho into a movie. (In fact, before the movie hit theaters, some reporters came very close, articulating that the movie was to be called “Psyche.”) He needed to plan for that contingency. And his only solution? Make it really hard to read the book. The surprise unruined, Psycho reached the success Hitchcock had hoped; it regularly makes the list of the American Film Institute’s greatest movies of all time. The book, in part because of the popularity of the movie, did okay as well. It warranted two sequels — one which came out in 1982 after the film’s re-release, and one in 1990 — but neither were top sellers nor made into movies. From the Archives: Seeing Red in the Hen House: The main story is about chickens. The bonus item is about Psycho.